Our agency has access to over 160 insurance markets. We represent an outstanding group of financially sound and reputable insurance companies. We certainly have the capability to look for the type of insurance you need at the right price. We do not represent one insurance company; we represent you, the insured. 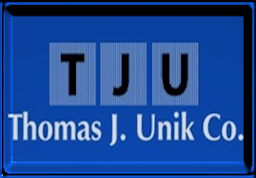 Established in 1936, by Thomas U. Unik Sr., our company has grown to a full service insurance agency that serves the insurance needs of over 12,000 individuals and families and 4200 business concerns in Cleveland, Cuyahoga County, and North East Ohio surrounding suburbs.Our office includes a state-of-the-art computer system which gives us immediate access to your account should you have any questions. In addition, we have a special comparison rater that allows us to provide you with on-the-spot rates from many of the country's finest insurance companies. Please take the time to review our website to see what we are all about. You can learn about our agency, download forms so that you can get a quotation, and find information on insurance. 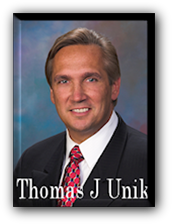 Call or contact us at Tom@thomasjunik.com with your insurance needs.